It’s time for my turn to do the new and streamlined Specimen of the Week – and this time I’m pleased to bring you something on an underwhelming par with certain fossil fish that regularly feature on the blog. 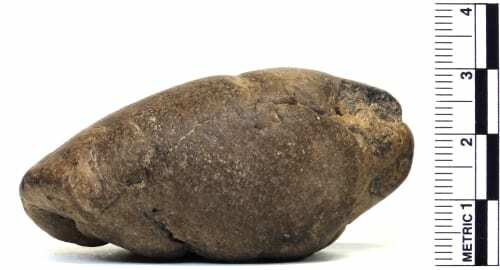 Also known as a coprolite, this dull chunk may not look like much, but it provides a glimpse into the toilet habits, (and perhaps more interestingly) diet and environment of a long dead critter. You might think that poo would be unlikely to fossilise, since it tends to be squishy, soluble in water and rather attractive to a variety of invertebrates that are remarkably efficient at getting rid of it. Usually you’d be right, but under certain conditions, some types of poo can undergo diagenesis, which is the term given to the chemical change something undergoes to become a rock. This change tends to happen when the poo contains a lot of bony or shelly material, which increases the concentration of minerals like calcium and phosphates, that are involved in the fossilisation process. Occasionally this poo will have also been deposited somewhere with limited oxygen, like a swamp, so invertebrates don’t get a chance to dig in. The bacteria that start breaking it down instead use some interesting metabolic pathways, which results in the deposition of pyrite and marcasite crystals (these are two subtly different forms of iron sulphide). 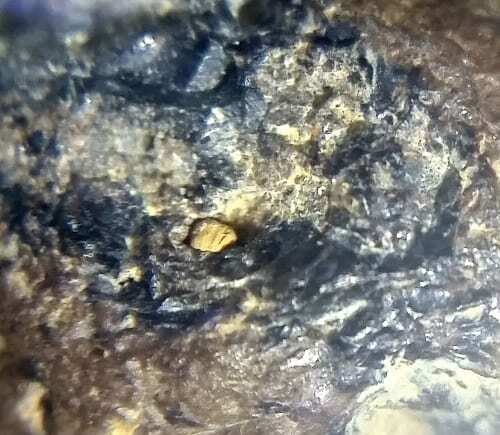 Who pooped in the [fossil] bed? Where conditions are just right, these slightly disturbing trace fossils can be very common, since each animal can leave hundreds or even thousands of them behind over the course of their life. This means that when you find one coprolite, there’s a very good chance you’ll find several. These particular examples are from the Oligocene Hamstead Beds on the Isle of Wight, making them around 33 million years old. They are similar in shape to modern crocodile faeces and since there’s a band of crocodile remains from the same beds, it seems most likely that these poos were produced by crocodiles. 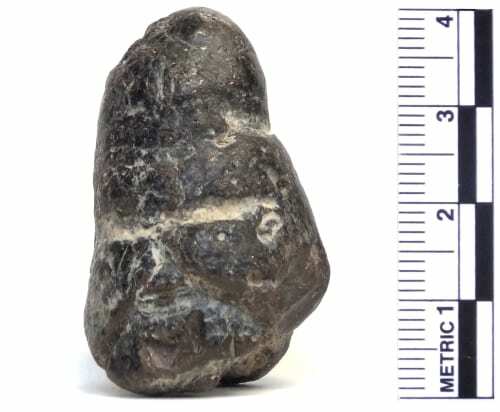 Other coprolite-rich deposits exist in Britain, with the nodule beds of the Red Crag of Suffolk and Norfolk providing a prime example. In places, these beds were so densely-packed with fossil poo that they were recognised as being an important source of phosphate by John Henslow back in 1843 and mined for use in the production of the first artificial fertilizer until the 1880s. This rich source of phosphate was also exploited during the First World War, this time for use in production of explosives for munitions. So although you may not think of fossil poo as being something important or interesting, it has played an important role in the development of modern agricultural practice and helped shape nineteenth century world politics. Never underestimate a poo.